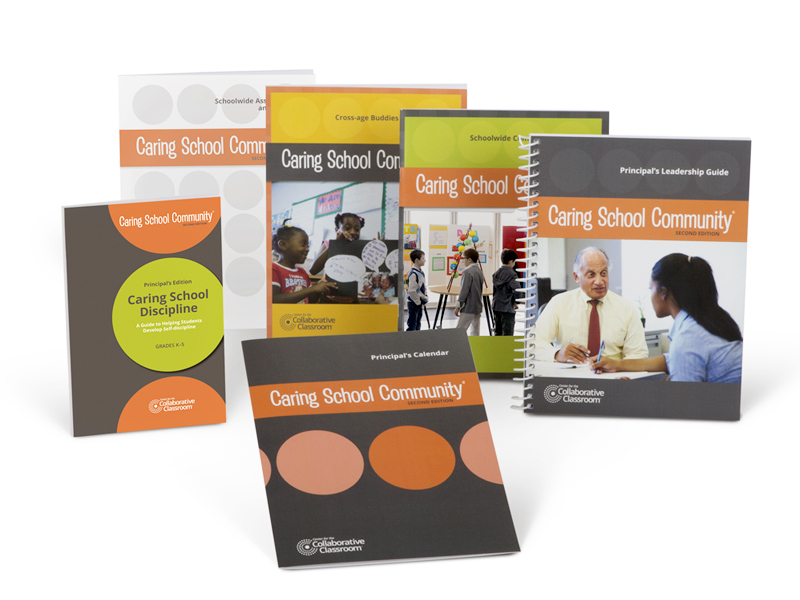 The Caring School Community® program is a social-emotional learning program that closely reflects the mission and values of Center for the Collaborative Classroom—community, respect, and collaboration in the school community. 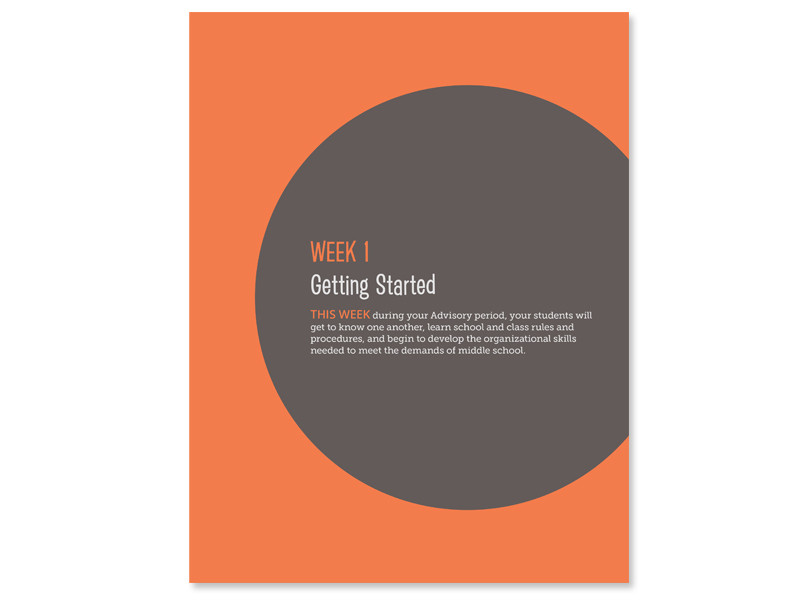 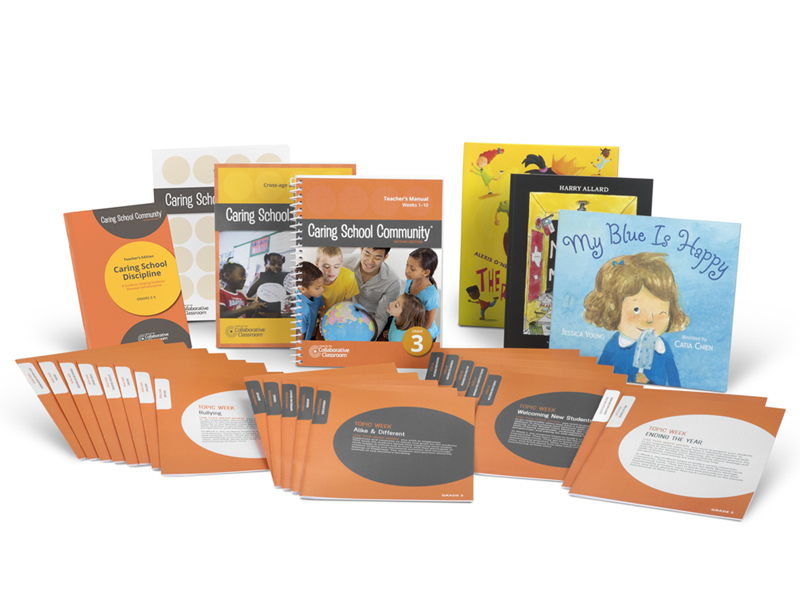 The program consists of grade-level packages for grades K–8, along with Principal’s packages that help school leaders oversee and lead implementation through their school campus. 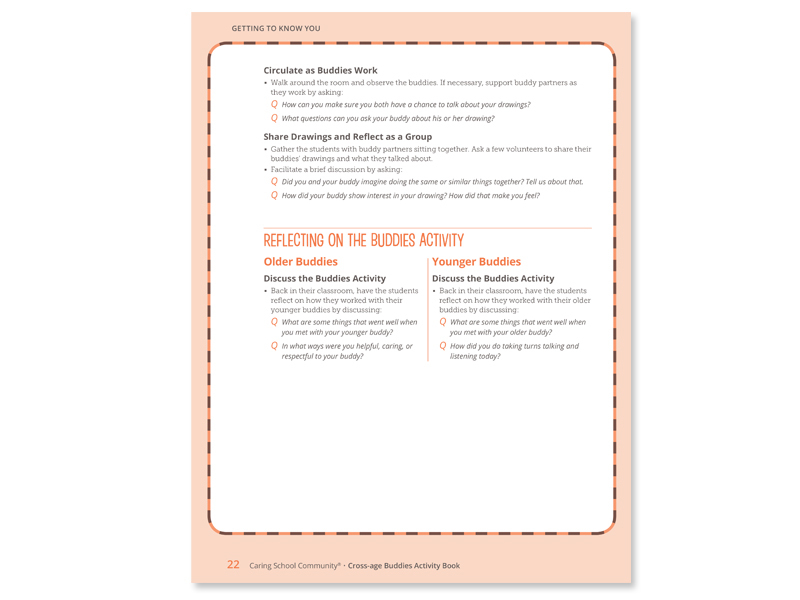 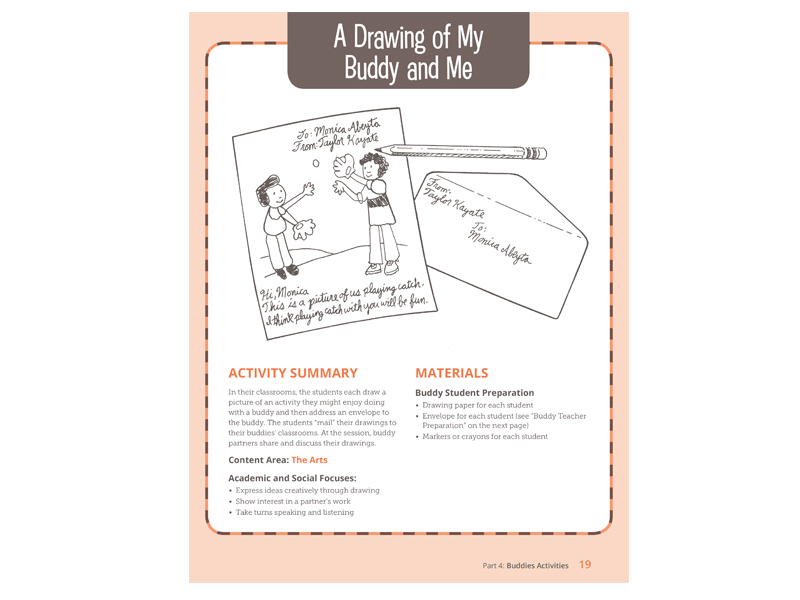 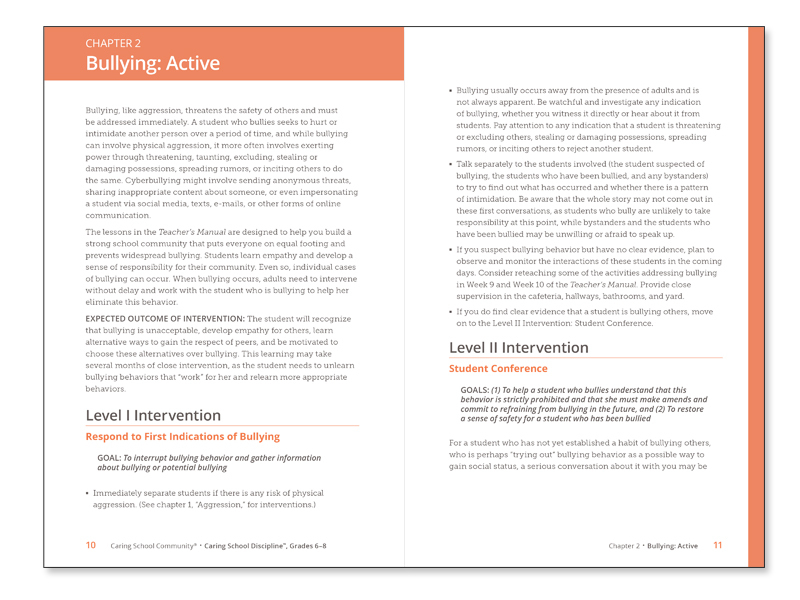 The program includes class meetings on various topics such as bullying, welcoming new students, and going on a field trip, that can be taught at any time, along with school-wide activities, a buddies program pairing younger and older students in activities, as well as a discipline component that guides principals and teachers in how to address discipline issues with students in a constructive and restorative way. 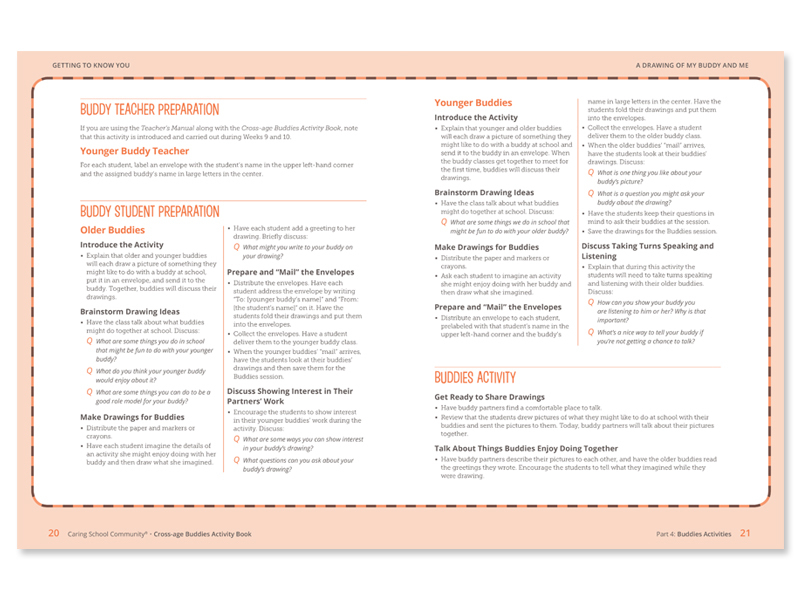 Created a unified interior design/page design set for the various manuals giving the product a more unified and updated look with easier to navigate interior/text structure. 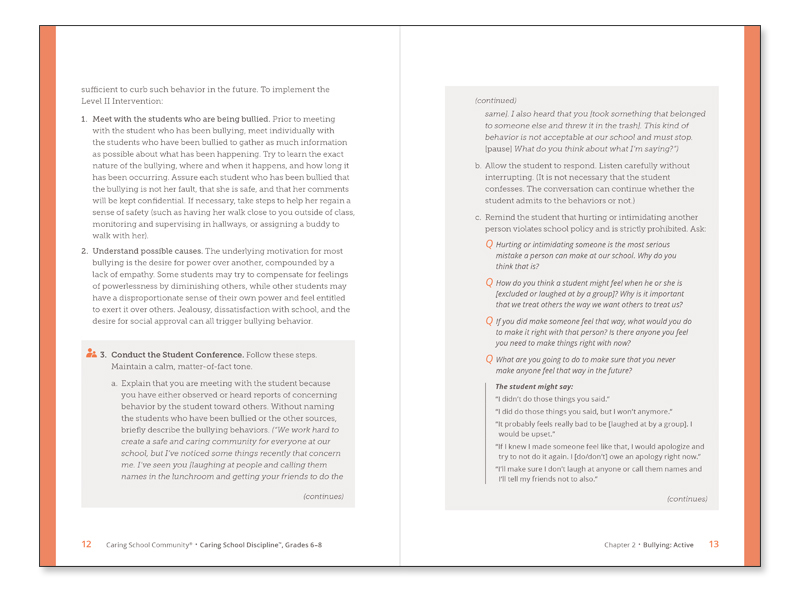 Created all new covers that better reflected the content of the program, and gave the product a friendlier, more approachable look and feel. 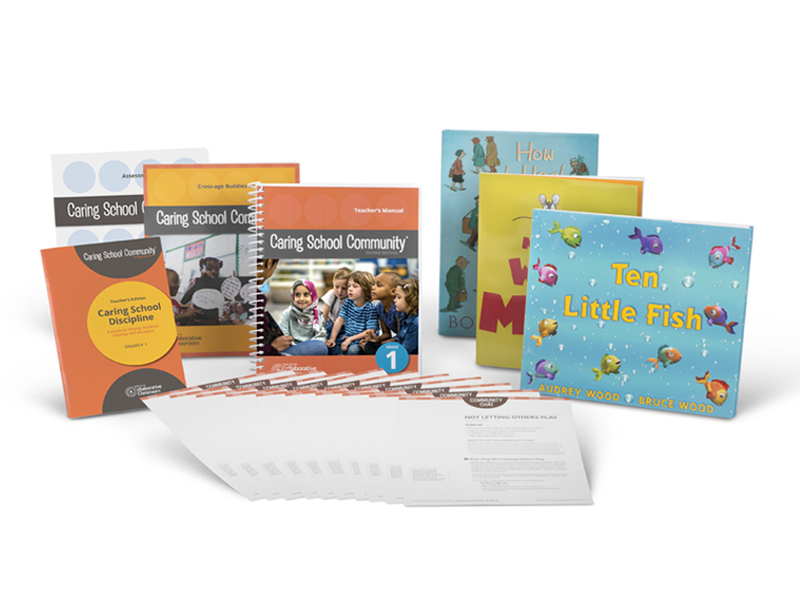 Directed the (re)creation of existing diagrams and illustrations and new illustrations for the product—reflecting an updated illustration style. 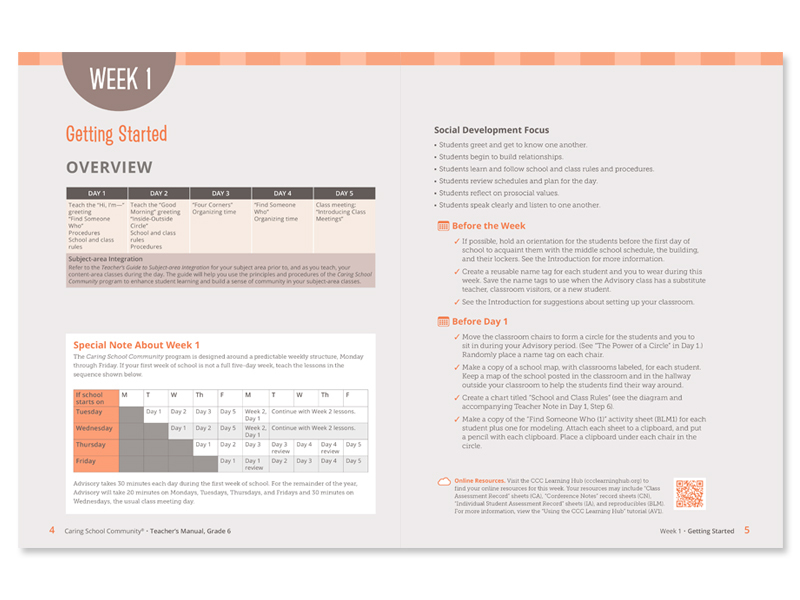 Worked with the team to create new materials, such as online resources and presentation slides. 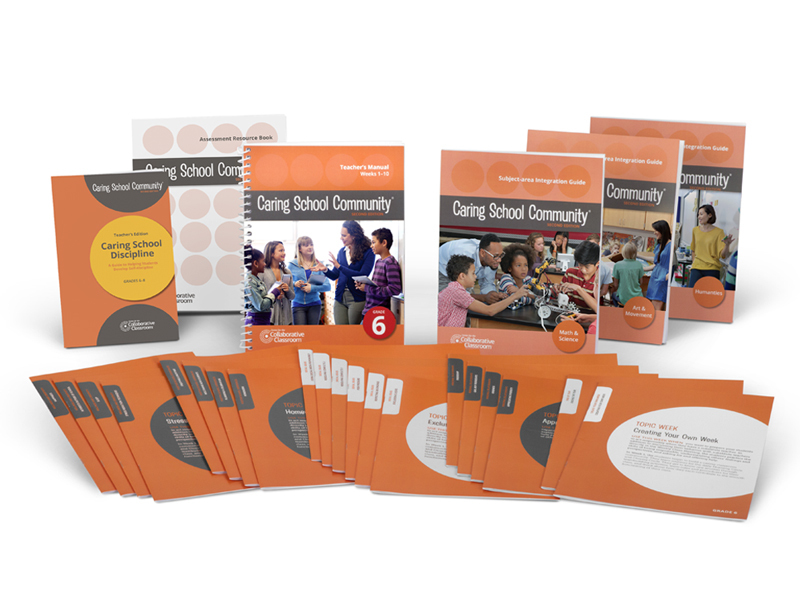 The resulting Caring School Community, Second Edition packages complete with updated design and more modular price point allow teacher’s to purchase the package for their classrooms to pilot, and provides the support and day-to-day tie-in that schools and districts need to support the ongoing implementation of the program in an already busy day. 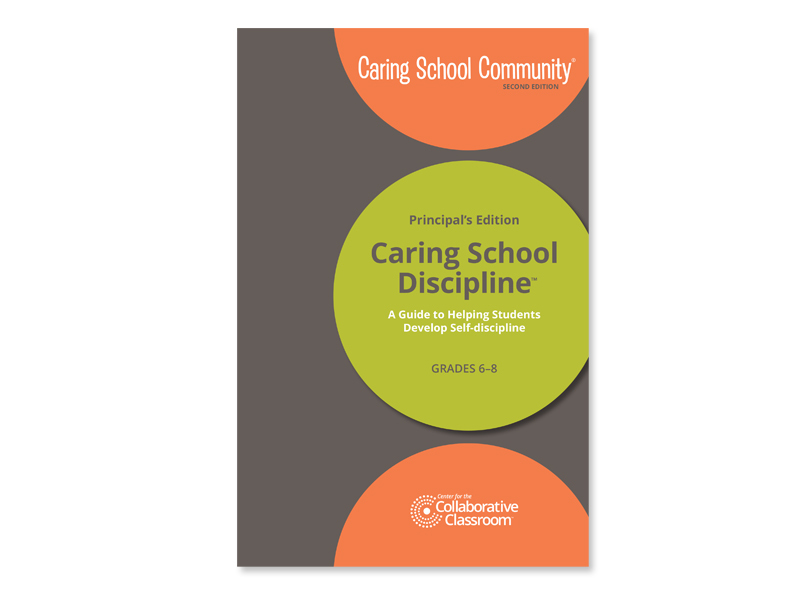 The edition of the Caring School Discipline component addresses a gap in the previous program and allows the product to more directly address the needs of schools and districts around this important issue. 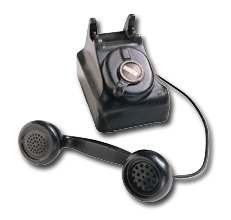 As a result of the updates, the product has enjoyed a resurgence in sales and adoptions.